Powdered metal casting can deliver highly accurate near net shape parts, but finishing the super-abrasive materials chews up cutting tools at a rapid pace. Metric Manufacturing Company of Lowell, Michigan knows this all too well. They specialize in machining high-volume powdered metal parts for the automotive industry. 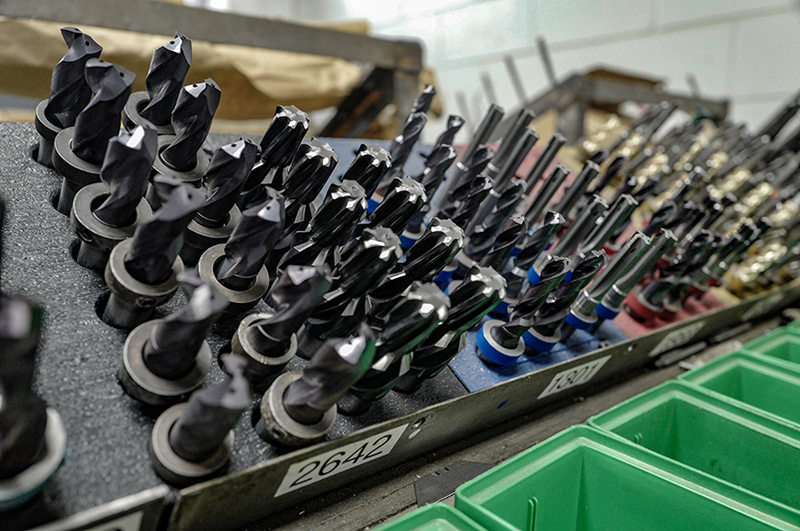 To keep the production line moving, they could either maintain an inventory of cutting tools on-site or find a company that could provide good quality, longer-lasting tools. GWS Tool Group is a Michigan-based manufacturer of highly engineered custom, standard, and modified standard cutting tools, primarily servicing automotive, aerospace and defense, power generation, and medical sectors. A good match? Absolutely. In fact, it’s a partnership that has lasted over 20 years. 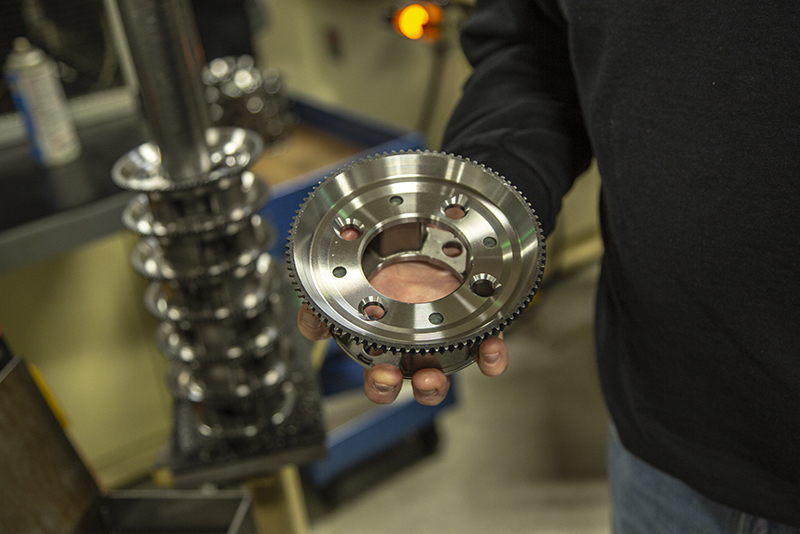 Metric Manufacturing uses 23 different cutting tools to produce items such as transmission carriers, connecting rods, stators for cam phasers and suspension components for customers like American Axle, General Motors and Ford. Working for the automotive sector involves high volumes and tight tolerances. To keep profit margins up, manufacturing companies must be as efficient as possible. One way to do this is to turn out good/accurate parts as fast as possible by minimizing cycle times. Metric Manufacturing does this by using GWS tools with the proper coating for better tool life when cutting powdered metal components. In addition, a customized tool (besides achieving high tolerances) can often do the work of two, eliminating one step from the operation to save even more on cycle time. Besides having a full inventory of off-the-shelf cutting tools, we can create custom tools from blueprints, print models, CAD files or even drawings on a napkin. According to Greg Thomas, Co-Owner of Metric Manufacturing, “Some of our projects can be pretty difficult. 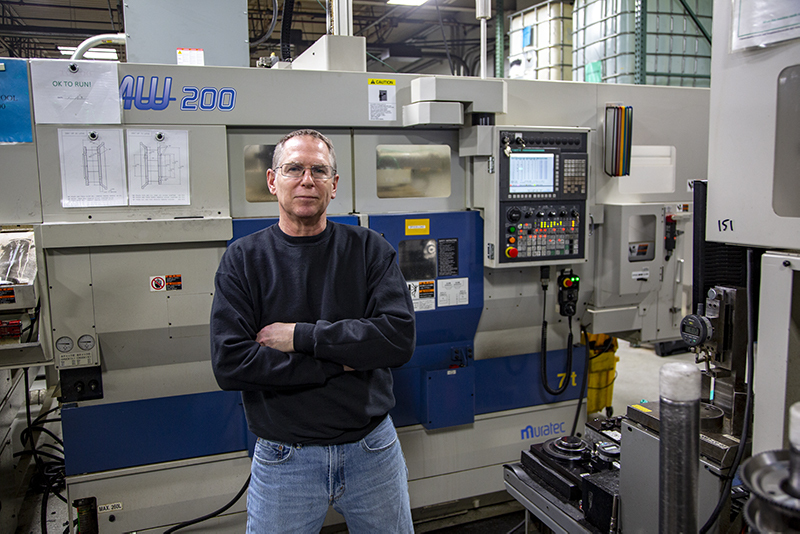 The engineering team at GWS does whatever it takes to get the process working.” Greg should know, since he also acts as the company’s tool room manager. GWS prides ourselves on our turnaround time for custom tools. Special orders from a big catalog house can take anywhere from 2-4 months, if they will even accept an RFQ. We can turn around quotes for custom orders in as little as 24 to 48 hours and deliver them in less than a week. For extreme emergencies, we even have a “Drop Everything” Expedited Service. “GWS is always really good about getting tools to us when we need them,” Greg commented. Metric Manufacturing uses an assortment of our products including step drills, carbide reamers and standard drills in sizes ranging from 0.375” to 1”. Powdered metal castings are difficult to machine, but GWS has found ways to help increase tool life. For example, putting a small angle on the outside of a drill doubled the tool life from 250 parts to 500 parts per drill. Tip regrinds, which Greg says are as good as original tools, also add longevity to the working life of our products, especially for powdered metal applications. This is vital for a company that works three shifts, sometimes 7 days a week. If you would like to improve your bottom line with fast delivery of high-quality standard or custom cutting tools, please contact us.